Build a Website Free Online – Really! As you grow more interested in developing an online business, there are many questions that arise. Among them is the question, “Can I build a website free online.” I have good news for you. The answer is, “Yes, you can.” We shall look at the two that to me are the most reputable. If you are like me you probably thought that “WordPress.com” was the commercial to pay WordPress. Well, it is not. You can go to WordPress.com and you can build as many sites as you wish. Your site will always be a sub domain of WordPress.com as long as it is free. It is true that you are limited in the number of themes that you have to choose from but unless you are a guru and plan to build thousands of sites, you will have more than enough to choose from and build on. The themes (theme is a layout on which your site is built) are varied enough so that you can be quite creative in your sites. Because you are a sub domain of WordPress.com there will be occasions that some plugins and other sites will limit your access to their tools. Personal information may not be able to pass through some portals if coming through sub domain. It is not necessary to know program language to build your site on WordPress.com. Their platforms are fairly easy to comprehend. If you have a decent understanding of the English language you should not have any problem. If you go the WordPress.com route you should be able to build workable sites with just a little effort and time invested. But to get the best use of your site the day will come that you will need to buy your on domain and transfer your site to your own domain. Then the sky becomes the limit if you know what you are doing. 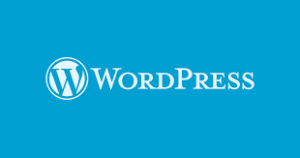 With WordPress.com you can find information when you have questions, but it is passive. You have to look until you find it and then hope that it is stated in such a way that you can understand it and apply it. I would give WordPress.com a 4.5 star rating. I have built several free sites there and have learned a lot in the process. It is a good place to learn and practice your skills in building a site. Be aware that they are in business and the way they make their money is by selling domains and advanced services. The people at WordPress.com are great and have a good product and service. If you are looking to build your knowledge of site building and getting experience, and have plenty of time, WordPress.com will do fine. If you have an earnest desire to build an online business presence but are not advanced in the techniques of building a website online, then you should consider Wealthy Affiliates. Your initial introduction should be the free version. Now, you notice I said the free version. Some places offer you a trial which is for a set period and at the end of that period they will charge the yearly or monthly or total fee for the program, unless you purposefully decline. At Wealthy Affiliate the free version is free. With that free version you get ten interactive lessons on how to build a website. Now, that would be no good whatsoever if you do not have a website. So, they give you two free websites. In the free lessons they walk you through the building of your website and how to operate it. If you think you have gained enough knowledge from the ten free lessons and have the two free websites and that is all that you want, then that is fine. Keep your free membership and your free websites and prosper. However, if you wish to hone your skills and progress even more you can upgrade to a Premium Membership. The cost for that membership is $49 a month. I used to think that that was a lot, but when you consider all that you get for $49 a month it is not that much. I did a quick check on the costs of all the services that Wealthy Affiliates provides for its’ Premium membership and it would cost me almost a thousand dollars a month to get that level of service if I got them individually. Wealthy Affiliates will save you money in the short run and in the long run. 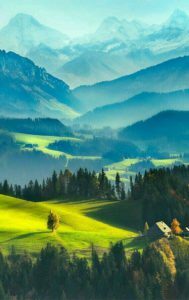 Suppose after six months you decide that you want to do something else. You can end your premium membership and no longer pay the monthly fee, but keep the free membership and your two free sites. Now, they do not make any over the top promises that you will make thousands of dollars next month. They will tell you that if you follow their program diligently that you will within three to six months begin to see a return on your investment and it will grow and grow. You will have a whole community of affiliates just like yourself who will encourage you and give advice when asked. They will even ask for your advice, too. If you do not mind putting in a little time into a business and grow in knowledge, then Wealthy Affiliates may be the place you have been looking for. I have to give Wealthy Affiliates a five star rating. The fact that they honor their word that you can build a website free online, and then to follow through even if you do not buy the Premium and let you keep the free training and free membership and two free sites, to me speaks of integrity. 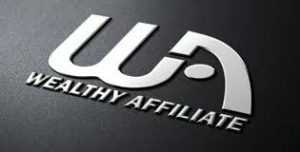 You will find that the people at Wealthy Affiliate are truly interested in seeing you succeed. Now that I have given my opinion of the two best places to build a website free online, what do you think? Leave a comment below. Or follow the link that I shall leave below and check out what I consider to be the best deal on the internet for building your own business. I am confident that with diligence and good knowledge you will grow your business and prosper in it. Begin building your free website online, now! Read more about online business building HERE, HERE, and HERE! There’s more. HERE. HERE. HERE.